Laughter erupts from deep within me, my eyes clenching shut, my head thrown back. My position and lack of control gives Josh the perfect opportunity to ravish my throat. And he does, growling dramatically, squirming above me... rubbing me. 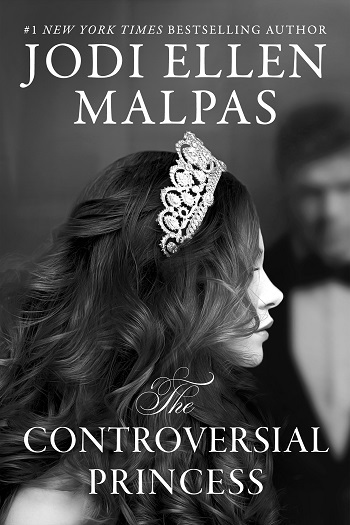 I knew I wanted to read this one when I heard about it, first because it was by Jodi Ellen Malpas and second because I love a good royal love story. And I was not disappointed by the story, but the ending was a WOW WTH moment. Princess Adeline is the daughter of the King of England. She doesn't want anything to do with royal life. She wants to be free and happy. While at her 30th birthday party, she meets American actor Josh Jameson. They seem to have a chemistry from the very first meeting. But Adeline knows they can't have anything past a secret affair because the king will end it and run Josh off. Because the king has her life planned and it is not to fool around with an American actor but to have her marry a man she doesn't love. It is all for the sake of the royal family. Will Josh fight for her and their time together? Can Adeline make her father see that she isn't going to marry anyone right now? Can they spend time together and both walk away with their hearts not broken? I loved everything about this story and can't wait for book two. If you are looking for a royally good story, then you need to read this one. It has all the love, passion, heat, fun, and suspense to keep you glued to every page. Reviewers on the Wicked Reads Review Team were provided a free copy of The Controversial Princess (Smoke & Mirrors #1) by Jodi Ellen Malpas to read and review for this tour.